The Prince Charlie Jacket and Vest combination is perfect for special occasions, weddings, and formal events. 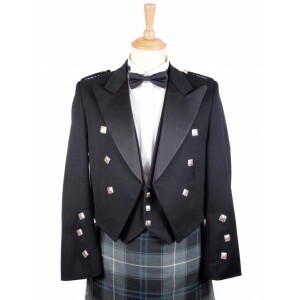 Prince Charlie jackets are sewn from Barathea wool, making them both durable and lightweight. 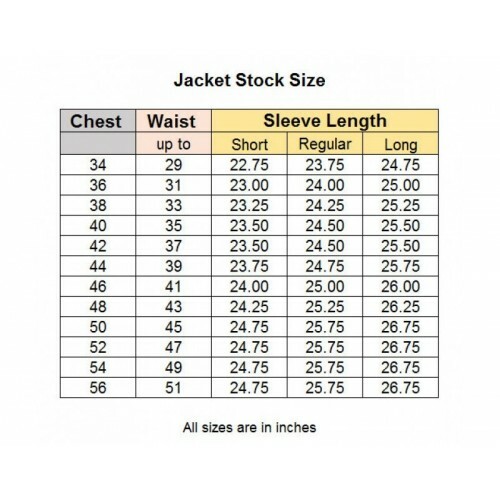 Select your Jacket size (above), and enter your height for reference. When taking chest measurements, measure loosely around chest at underarm height while wearing a shirt/vest (no jacket), with arms by the sides. Do not inflate chest. A surcharge for sizes 50"+ (chest) applies.